Dr. Danielle Logue is an Associate Professor of Innovation, Entrepreneurship & Strategy at UTS Business School. She completed a Doctorate of Philosophy (PhD) and Master of Science (MSc) at Said Business School, University of Oxford, and was a visiting scholar at Stanford University. From 2015-2017 she was an Academic Fellow at the Skoll Centre for Social Entrepreneurship, University of Oxford. 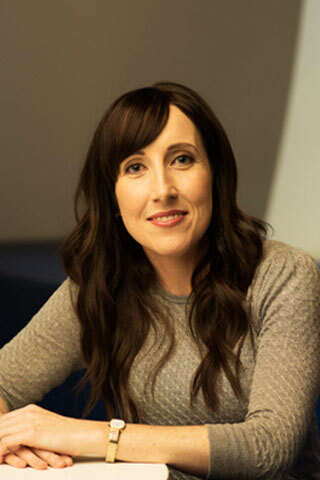 Associate Professor Logue currently holds a prestigious DECRA Fellowship from the Australian Research Council in the area of social innovation. She is the founder and Chair of the Investing in Impact (III) research network for academics and practitioners. Danielle manages an international research portfolio in innovation and entrepreneurship, as a Lead Investigator for The Growth Project (a multi-country study of entrepreneurial scaling) and Chief Investigator for research projects on impact investing and social entrepreneruship with clients such as the Australian Department of Foreign Affairs & Trade (DFAT) InnovationXchange unit and Department of Social Services Impact Investing Unit. She currently holds a DECRA Research Fellowship from the Australian Research Council to investigate the development of impact investing in Australia, and in particular the role of social stock exchanges in creating the ‘rules of the game’ in this nascent market. In her research, Danielle also draws upon her professional experiences, having worked at the World Bank, in the private sector in foreign aid and business development, and for the Australian government in delivering business assistance programs for entrepreneurs. She is the Founder and Chair of the Investing in Impact (III) academic-practitioner research network. Danielle was Deputy Head (Engagement) 2015-2017 for the School of Management prior to commencing her DECRA research appointment. Dr Logue is an award winning lecturer in innovation, entrepreneurship and strategy. She has published in top scholarly journals such as Academy of Management Annals, Human Relations, and Journal of Management Inquiry, amongst others. She is a frequent commentator in national and international media outlets, including BBC Global, ABC News 24, Radio National, SMH, AFR, 2Ser Radio and The Conversation. As an economic sociologist and organizational theorist, her forthcoming book ‘Theories of Social Innovation’ (2019), examines the overlapping roles of the State, Civil Society and Private Sector in generating and funding social impact. Dr. Danielle Logue joined the UTS Business School after completing a Doctorate of Philosophy (PhD) and Master of Science (MSc) at Said Business School, University of Oxford, graduating with distinction.During her doctoral studies, Danielle was a visiting scholar at Stanford University and also the recipient of numerous scholarships, awards and honours at the University of Oxford, including a Clarendon Scholarship, Green Templeton College Doctoral Scholarship, Oxford Leadership Prize and a University of Oxford Vice Chancellor’s Award. Prior to Oxford, Dr. Logue’s professional experiences centred on development, international aid, government policy, industry development, innovation and entrepreneurship. She was involved in designing government assistance programs for young entrepreneurs to researching education reforms in Chile, Timor Lesté and Indonesia to delivering R&D tax concessions to biotech firms in Sydney, Australia. She has worked as a consultant for the World Bank and as a R&D Manager for the Department of Industry, Tourism and Resources in Australia. Danielle was also a Business Development Manager at IDP Education Australia, again working on World Bank, AusAID and Asian Development Bank projects. It is these professional experiences, in diffusing policies, projects and programs across governments, international agencies and businesses, across industries and across countries, that initially fostered Dr.Logue’s research interests in the diffusion of innovations. A recipient of a National Leadership Scholarship, Dr. Logue completed a Bachelor of Commerce (Management) attaining First Class Honours and a Graduate Diploma in French at the University of Western Sydney (with part of her graduate diploma undertaken at the Université de la Rochelle in France). Dr. Logue’s research broadly explores the diffusion of innovations, such as business models, management innovations, and organizational practices. Through her academic training, she has built a theoretical base in organisation and institutional theory, to examine how organisational ideas and innovations spread in international settings and the implications for organisational performance, management and social impact. This is an important area of study, as the diffusion of innovations is fundamentally about understanding processes of social change. How innovations are adopted and abandoned, locally and globally, over time and place, helps to understand how the world has changed and is changing, and the structures and processes involved. Dr. Logue is currently investigating the emergence of impact investing markets worldwide, and the adoption of platforms, products and programs that set the rules of the game for this nascent market. Her current work includes investigations of social stock exchanges, social impact bonds and civic crowdfunding platforms in understanding how innovations in social finance are addressing social problems. Innovation and entrepreneurship, strategy, organisation and management. Logue, DM 2018, Theories of Social Innovation, Edward Elgar. As we grapple with how to respond to some of the world's most pressing problems, such as inequality, poverty and climate change, there is growing global interest in 'social innovation' as a potential solution. But what exactly is 'social innovation'? This book describes three ways to theorise social innovation when seeking to manage and organize for both social and economic progress. The concept of an institutional field is one of the cornerstones of institutional theory, and yet the concept has been stretched both theoretically and empirically, making consolidation of findings across multiple studies more difficult. In this article, we review the literature and analyze empirical studies of institutional fields to build scaffolding for the cumulation of research on institutional fields. We classify two types of fields: exchange and issue fields, and describe the populations that inhabit them. Subsequently, we develop a typology of field conditions based on two dimensions: the extent of elaboration of institutional infrastructure and the extent to which there is an agreed upon prioritization of logics. We discuss the implications of field types and conditions for isomorphism, agency, and field change, identifying six pathways of field change and the factors affecting them. We outline a research agenda based on our analysis highlighting the need for consolidation of field studies and identify several outstanding issues that are in need of further research. In this paper we reflect on the question 'what do we mean by teaching 'business ethics' at all?' In response we suggest that phronesis - a values-based disposition integrating practical and affective dimensions of practical knowledge - warrants consideration in addressing the topic of ethics but more broadly in legitimising university-based management education in the face of widespread public trust deficit in business and management education. In this paper we consider the Aristotelian origins of phronesis, including its distinctive connection to emotion and moral imagination, and apply a phronesis-based approach to postgraduate management education, providing illustrations of its practical usage. In doing so, we argue this goes beyond thinking of 'business ethics' as a stand-alone subject in business education, and instead provides management educators a framework within which to cultivate graduate capabilities in moral-relational judgement and a profession-like praxis. Doing so would help - post Global Financial Crisis - to ameliorate justifiable loss of public trust and confidence in university-based management qualifications. As a social theory of organization, it is unsurprising that institutional theory draws upon the profound and ambitious work of the late anthropologist Mary Douglas. One of the foundational concepts of organizational institutionalism, institutional logics, directly draws upon her work. Yet, in recent times, this foundational role has faded from view as institutional theory itself becomes increasingly institutionalized as a vibrant branch of organization studies. This is unfortunate for there is much continuity in current work with that of Douglas, it now being 50 years and 30 years, respectively, since the publication of two of her formative works. The deep analogies that underpin classificatory systems and the processes by which they are sustained remain significant areas under continued investigation by institutional theorists. Thus, in this paper we revisit Douglas' core arguments and their connections to institutional theorizing. We specifically explore her contribution of 'naturalizing analogies' as a way of accounting for the unfolding of change across levels of analysis, extending, modifying and enriching explanations of how institutional change is reified, naturalized and made meaningful. We do this by providing empirical descriptions of meta-organizing analogies and field-level applications. We explain how Douglas' major theoretical works are of considerable relevance for current institutional theorizing. This aids particularly in informing accounts of institutional logics and the movement between individual cognition and collective signification. Labels are important when organizations seek membership in an existing category, as are the agreed upon labeling practices of audiences that are already members of that category. The origins of labeling theory emerge from sociological examinations of deviant behavior and of deviant individuals. We return to this earlier emphasis and extend the analysis to organizations to demonstrate the contribution of a more politicized conception of labeling and categorizing for organization studies' literature. In drawing upon two empirical illustrations, that of Wikileaks and News Corp's The News of the World, we apply a 'circuits of power' framework to analyze the politics of labeling. We suggest that a more politicized conception than offered in current literature highlights the moral reasoning, disciplining, and symbolic violence that may be invoked by labels and labeling practices and also the circuits of power by which they may be maintained and disrupted. Logue, D & Edwards, M 2013, 'Across the Digital Divide', Stanford Social Innovation Review, vol. Fall. This article examines what governance innovations in top management team (TMT) composition diffuse more readily and globally than others, and what factors account for this varying global-local interplay. Governance innovations that are theorised (Strang and Meyer, 1993) in the corporate arena and supported by global activity such as industry associations, training and accreditation processes, flow earlier, faster and more broadly than those that are more loosely theorised and thus subject to more local variation (for example, finance positions compared to external facing positions). This varying global-local interplay results in hybrid TMTs, rather than the absolute displacement of traditional TMT compositional structures. The mobility of scientists and the concerns surrounding `brain drain' are not new. Even in the Ptolemic dynasty, the first king set out to attract and influence the movements of scholars to shift the centre of learning from Athens to Alexandria. Yet after all this time, there is still much policy discourse and debate focused on attempting to define, redefine and solve this ancient problem. I argue that the continuing circularity of the debate supports the proposition that the policy issue of brain drain would value from being reconceptualised as a `wicked problem, in order to move policy forward. Drawing upon a historical documentary analysis of the issue from 1990 to 2007 and interviews with current policy-makers, I propose that reconceptualising this issue will enable actors to collectively and explicitly recognise the fundamental and conflicting perspectives inherent in this social problem that cannot be resolved. This reconceptualisation provides a platform from which policy-makers can pursue a range of policy responses, attentive to the different perspectives on this issue, rather than spend more time and resources in futilely attempting to achieve a single definitive position and policy response. Logue, D & Grimes, M 2018, 'Platforms for the people: The cultivation of institutional infrastructure for civic crowdfunding. Harvard University Conference on Social Innovation and Social Change. ', Harvard University. Logue, D & Grimes, M 2018, 'Platforms for the People: The cultivation of institutional infrastructure', EGOS Conference 2018, Tallin Estona. Logue, D & Hinings, B 2017, 'Pathways of Field Change', Academy of Management, Atlanta. Logue, DM 2016, 'Institutional infrastructure in nascent fields: The emergence of social stock exchanges. ', European Group for Organization Studies, Naples, Italy. Sewell, G, Phillips, N, Clegg, S & Mol, J 2016, 'How Institutions Really Think: Mary Douglas and Meaningful Organizations', Academy of Management, USA. Logue, DM 2015, 'The complexity of market emergence: An institutional analysis of impact investing', http://www.sozmog.uni-jena.de/sozjpmedia/Vortr%C3%A4ge/NIT2015+info+and…, Neo-Institutional Workshop, Vienna University of Economics and Business. Logue, DM, Clegg, S & Höllerer, M 2015, 'Social Impact Bonds as translational devices: conjoining public, private, and non-profit sectors. European Group for Organization Studies (EGOS), Athens, 2015. ', European Group for Organisational Studies Colloquium (EGOS), Athens. Logue, DM & Hinings, CR 2014, 'Institutional complexity: A critique and reformulation. European Group for Organization Studies (EGOS), Rotterdam, The Netherlands (2014)', European Group for Organization Studies, Rotterdam, The Netherlands. Logue, DM 2014, 'The 'Stuff' of Markets: An Institutional Analysis of Impact Investing. Academy of Management (AoM) Meeting, August 2014, Philadelphia, USA', Academy of Management (AoM) Meeting, August 2014, Philadelphia, USA, Philadelphia. Logue, DM, Clegg, S & Munir, K 2013, 'Troubled Times, Big Issues, Institutional Crises: Insights from Organization Theory. European Group for Organization Studies (EGOS), 2013, Montreal, Canada. ', European Group for Organization Studies, Montreal, Canada. Logue, DM 2012, 'Creating social finance markets: The translation of naturalising analogies. European Group for Organization Studies (EGOS), (2012), Helsinki, Finland. ', European Group for Organization Studies, Helsinki, Finland. Logue, D.M. 2011, 'Going deeper: remembering naturalising analogies. European Group for Organisation Studies (EGOS), 2011, Gothenborg, Sweden. ', European Group for Organisation Studies (EGOS) Gothenborg, Sweden. Logue, D.M. 2011, 'Theorisation and the Global Diffusion of Management Innovations. Academy of Management (AOM), 2011, San Antonio, USA. ', Academy of Management (AOM), San Antonio, USA. Logue, D.M. 2011, 'The Rationalisation and Formalisation of University Management. European Group for Organisation Studies (EGOS), 2011, Gothenborg, Sweden. ', European Group for Organisation Studies (EGOS), Gothenborg, Sweden. Logue, D.M. 2010, 'Mechanisms of diffusion in university top management teams. ', European Group for Organisation Studies (EGOS), Lisbon, Portugal. Co-authored with Dr Craig Rawlings, Stanford University. Logue, D, Edwards, M & McAllister, G 2019, Managing Hybrid Enterprises, Sydney. This report investigates the viability of a range of portfolio interventions designed to leverage new sources of investment finance and to support the growth and investability of new businesses in the Indo-Pacific region, with a particular focus on the development of social enterprises. While some of these interventions are relatively new within the aid sector, others are designed to take a fresh perspective on an existing activity. The report sets out the findings for each of the interventions and while interventions were wide ranging, they all form key components of an entrepreneur's journey and their ultimate participation in an impact investing marketplace. The study focused on the development of new businesses in the region and considers how early stage enterprises could be funded; how entrepreneurs (and particularly social entrepreneurs) could be incubated and supported to develop their business skills; how new financing structures could be deployed by government to attract more private investment into the sector; and the role of platforms in connecting enterprises and sources of capital in brokering deals. Logue, D, Schweitzer, J & McAllister, G 2017, Doing aid differently: How to help social entrepreneurs and impact investors do good. Prepared for Department of Foreign Affairs and Trade., Sydney. Logue, D.M. UTS 2014, Beyond the Hype: Insights into Entrepreneurial Life in Australia, pp. 1-10, Australia. Much of the hype around entrepreneurship today focuses on `hero entrepreneurs' the stereotypical image of Virgin founder Richard Branson and his extroverted, risk-taking personality. Yet this picture doesnt accurately reflect day-to-day life as an entrepreneur. It doesnt tell us about the way ideas are born or the networks, systems and skills not to mention plain luck on the road to success. The aim of this project was to provide insights into the entrepreneurial ecosystem by unmasking the day-to-day realities of being an entrepreneur in Australia today1. The research busts the myth that entrepreneurs succeed because of inherent personality traits because they are born that way. This research focuses instead on the impact of `incubators, the genesis of entrepreneurial ideas, the common patterns of learning and skill development, and the variety of pathways that can lead someone to being dubbed an entrepreneur. Encouraging innovation and entrepreneurship will be vital to the next wave of economic growth, now that the commodity prices boom is over2. We need a deeper understanding of the role of entrepreneurs in technological change and innovation, but as importantly, the realities of entrepreneurial life in Australia. The Not-for-Profit (NFP) sector in Australia, and globally, is in transition. As the recognition grows that government and philanthropic funds are insufficient to address the problems facing societies globally, new organizational forms, partnerships, financial products and `impact investors are emerging and attempting to tackle existing problems in innovative ways. The space where this activity is occurring is increasingly labelled as the `social economy. In this space, the traditional NFP form is now just one organizational model in a spectrum of organizational forms and collaborations. Mercer, P 2017, 'The Australian company unlocking parking in city centres', BBC Global. Logue, D, McAllister, G & Schweitzer, J 2017, 'How to borrow tools from the startup world for aid and development', The Conversation. Ideas borrowed from the startup world – crowdfunding, incubators, accelerators and online marketplaces – could help close the US$2.5 trillion shortfall in funding for the United Nations Sustainable Development Goals. Our research with the Department of Foreign Affairs and Trade shows these methods can increase aid by attracting funding from private investors and diaspora communities. Logue, DM 2016, 'Five ways to spend with more social purpose this Christmas', The Conversation. Logue, DM 2016, 'Reimagining NSW: five ways to future-proof NSW's innovation ecosystem', The Conversation. Logue, DM 2015, 'Civic crowdfunding will challenge governments and charities', The Conversation. Logue, DM 2015, 'Uber 'micropreneurs' signal the end of work as we know it', The Conversation. Logue, DM & Hoellerer, M 2015, 'Social stock exchanges – do we need them?'. Logue, DM 2014, 'Fossil-free superannuation is an idea that's going to snowball'. Logue, DM & Hartigan, P 2014, 'Impact investing: grabbing a piece of the $650 billion market'. Logue, DM 2013, 'It's the next Facebook and it doesn't even need you'. Logue, DM 2012, 'Challenge 11: How improving women's status helps us all'. Logue, DM 2012, 'Wicked problems and business strategy: is design thinking an answer? ', The Conversation. Logue, DM & jarvis, W 2012, 'Is the Toyota way the only way? ', The Conversation.